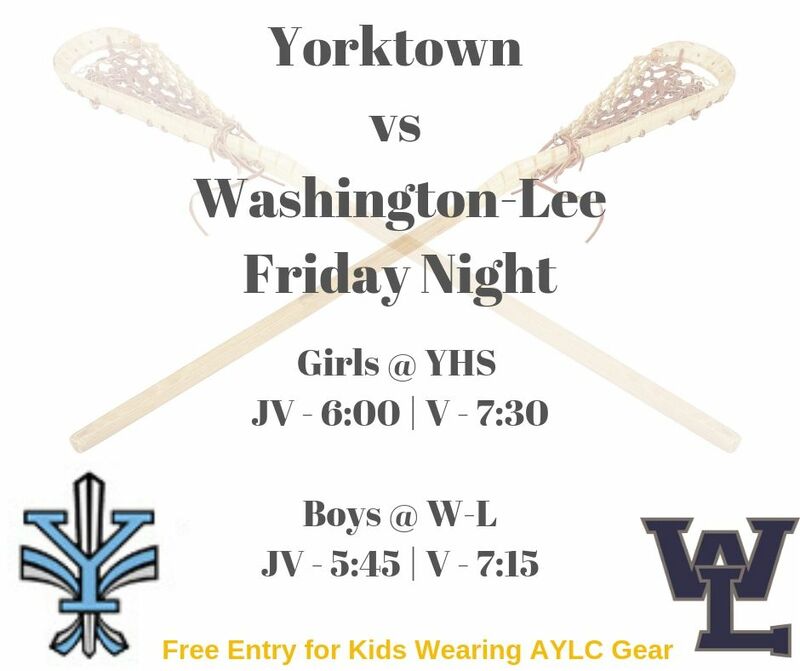 Come out and watch our high school AYLCers on the field as the Yorktown and Washington-Lee Girls + Boys Lacrosse Teams play each other on Friday night (4/26). Kids wearing their AYLC Gear get free admission as long as they come with a parent. Leave your sticks at home and plan to learn something new about the game by watching some great high-level lacrosse. The Girls are playing at Yorktown starting at 6:00 while the Boys play at Washington-Lee starting at 5:45. Go Arlington! Don't cook for your family on Monday May 6th just don't do it... 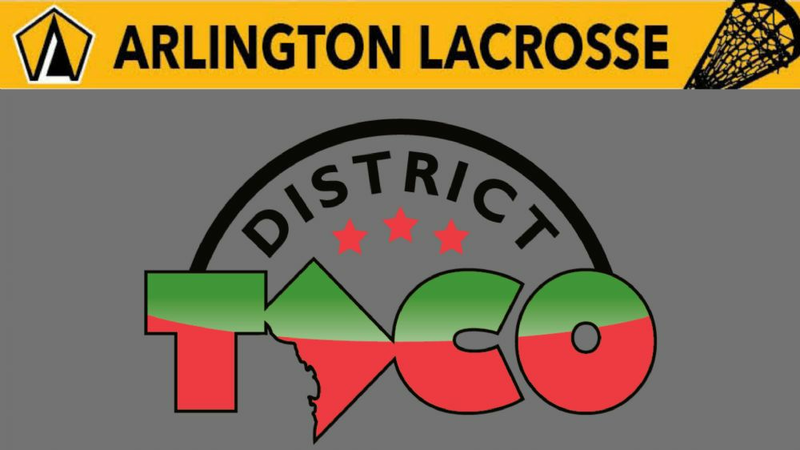 Instead bring them ALL to District Taco for some fresh food and help raise money for Arlington Lacrosse. DT will donate a portion of their proceeds so come hungry and start with some Nachos Borrachos and then enjoy some fresh tacos and burritos. Just make sure to leave your sticks in the car... Orale!! Make sure to come after 4pm but before they close at 10pm AND mention "Arlington Lacrosse" when you place your delicious order. 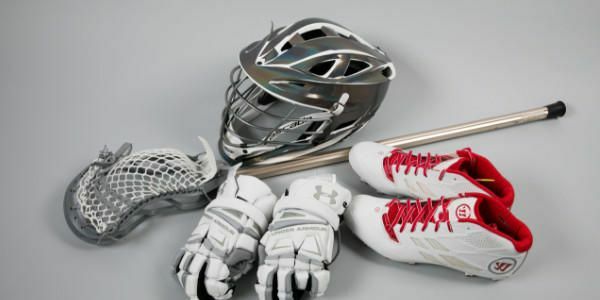 Check out our new AYLC Equipment Exchange where you can easily post any of your old sticks, cleats, helmets and pads that you are hoping finds a new home. No need to let cleats that are too small or sticks that are too short pile up in your garage. Add them to the exchange in less then five minutes so another AYLCer can continue to use them. 6/ Upload your photo by clicking on the CHOOSE FILE button next to Featured image. Below are this week's HOME high school lacrosse games in Arlington, Come out and support our local teams and former AYLC players plus learn from watching the game played at a high level. Have fun and dress warm! Get the latest AYLC Gear shipped direct to you and get 15% off your order if you do it soon. 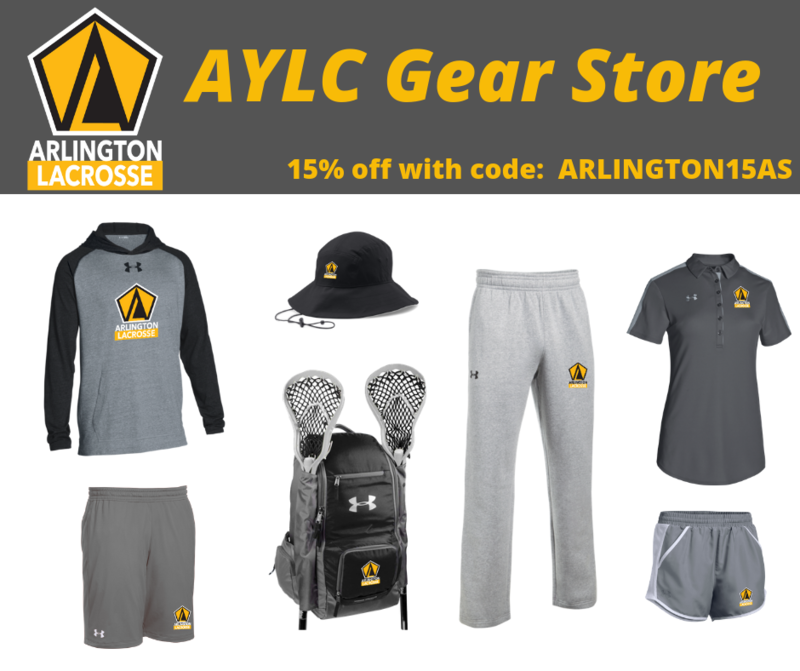 Arlington Lacrosse has launched its new Gear Store and now you can order sweatshirts, backpacks, hoodies, t-shirts, shorts, sweat pants and hats year-round. We are having a sale to launch our new store so please use the following coupon code to get 15% off your order. Everyone looks good in black, yellow and gray so order your AYLC Gear today. Arlington Lacrosse is now on Facebook and Instagram. Follow us on both to stay up to date on all of our events starting with our A Team Tryouts this weekend.